The two different thermometers sit side-by-side in a Stevenson Screen, this example is at Wagga Wagga airport, NSW. Photo: Bill Johnston. Dr Bill Johnston put in an FOI request for side-by-side data from both kinds of thermometer. He asked for six months of data from Sydney and Canberra Airports and was told it would cost him $460. That’s quite a barrier, and that was only to access the Sydney records. Look at what happened to the Canberra ones — the data was gone. No one could analyze it, no matter how much they were willing to pay. Here’s the FOI decision regarding raw data from Canberra Dec 2014. The BOM stated that “in accordance with records management practices”, the field books for early 2013 at Canberra Airport were “disposed of” twelve months after the observations were taken. By mid 2014 the situation was even worse (if that were possible). The more recent Canberra Airport records didn’t even have field books to be destroyed. There were no records to be disposed of. For what it’s worth, the $460 data fee was helpfully reduced to $230 after a lengthy appeal. The four page assessment cost the taxpayer more than the $230 charge, but it did successfully stop taxpayers from analyzing the data. Was that the point? The Bureau has a budget of $365 million a year – how much does it cost to store a text file? Johnston declined to buy the Sydney data (it was confounded by multiple site changes, and he’s not paid to do this work). Comparisons between screens were done at one site using PRT (Platinum Resistance Thermometer) only and reported as a “preliminary report”, which is available; but after Automatic Weather Stations (AWS) became primary instruments, as I’ve reported before, the Bureau had an internal policy that parallel liquid-in-glass thermometer data were not databased. Furthermore, they had another policy that paper-data was destroyed after 2-years. So there is nothing that easy available…. The only way to compare AWS and Liquid in Glass, is to hunt for sites where there is overlap between two stations; where the AWS is given a new number. This is possible BUT the problem is that the change-over is invariably confounded with either a site move or the change to a small screen. So, we suspect that the introduction and reliance on AWS has led to artificially higher maxima (and thus record temperatures) than in the past, but we have no way of knowing for sure and how much. This information and other oddities of Australian temperature records was discussed in my chapter “Mysterious Revisions to Australia’s Long Hot History” in the new book Climate Change: The Facts 2017. Co-authors include Clive James, Matt Ridley, Willie Soon, Roy Spencer, and Anthony Watts. Pre-order your copy now, the first edition, released last week, has sold out. Letter from Anthony Rea, Assistant Director Oberving System Strategy, Bureau of Meteorology, 23 December 2014. Reference: 30/5838. The Bureau of Meteorology Budget was $365.3 million in 2015-16. The below link shows stat ID 009500 which became operational in 1877, the BOM only use data from 1900’s due to Stevenson screen implementation. This station shows a lower value than 51.2C but its a different station, different ID, different location. From the txt file link at the top, you used to be able to change the ID number and view any station you wanted but now you cant only this file still exists. So what happened to the data from 009741 pre 1965? Probably erased from the record. Around my area, there are about 20 of these stations. I used AccuWeather to look at weather in my area and found out that the temperature reported by AccuWeather was approximately 10f warmer than any of the stations in my area. Untick map overlay option boxes. Tick station markers box. Zoom in to area of interest. Sorry, that should be…Untick map overlay option boxes. Zoom in to area of interest. Tick station markers box. This is my weather station. It is not reporting in real time at the moment, however. Oops. Left out the link. David, don’t usually click on thumbs but had to since some clown red-thumbed you for reasons beyond my comprehension. Oh! Now I get it! Reds! One cannot trust BOM as there is little or no data to verify – therefore one needs to be extremely skeptical of what they publish. 09500 opened in 1877 and closed from 1965 to 2002 when it reopened and is still recording. 009741 is named Albany AP Comparison and opened in 1965 – probably to replace 009500. Stations seem to be about 10km apart. I would say that ACORN would have just melded the two together and called it 009741. The temp for 8th Feb 1933 shows 44.8C in the raw data but 50+C in ACORN (which would be the highest ‘official’ temp recorded in Aust). just shows how ‘high quality/best practice’ ACORN really is. This needs to be flagged loud and clear. Is anyone also making personal copies of the raw data sets that the BOM cant get at? “UPDATE: Temperature readings plunge after Australia orders end to ‘tampering’…” all day. untold millions will have seen this. World’s best practice don’t you know. To recover the missing archive and prevent further destruction of raw data the Review should talk with Blair. comment re Drudge carrying BoM-Gate update Climatedepot link has gone into moderation. Thankfully, those seeking an antidote or healthy dose of reality have alternatives. The Climate Hustle documentary film debunks scores of whacky predictions that never came true and presents solid evidence-based science from dozens of scientists who don’t accept the “manmade climate crisis” thesis. A new Australian book presents detailed and expert but fast-paced, readable material on key climate issues. Tampering (adjusting, homogenising, fudging, etc) with raw data has no place in science! Hiding raw data from others has no place in science! By all means conduct analysis of the data any way that you like but do not tamper with it. The scientific method dictates that the raw data and methods of analysis must be made available to all so that your work can be verified or found wanting. The BOM has broken the fundamental precepts of the scientific method and should be subject not only to a full independent audit but also to a full public disclosure of this scandal. What you say would be true, if they were scientists. They are simply Public Servants; subservient to their political masters. I have no idea regarding what worth they bring to the citizens of Australia, who ultimately pay their wages through taxes, but I suspect that it is very little. They destroy the value created by others. And apparently if the voters don’t wake up and kick a lot of their elected government out of office it will continue down that road to the destruction of your economy and Australia itself. Even Obama didn’t damage the US as much as our current “leadership” are damaging Australia, not to say that Obama didn’t do tremendous damage to the US. At least the US has Trump to pull them back from the brink. Who do we have? This is the reason I have always maintained there is no difference between labor and liberal – all are one Party – Communists. What else can logically explain that the exact same agenda moves forward, no matter which “party” you elect? Turncoat is a champers socialist. Short-mind is a rabid leftie…..
We don’t take money from the UN, so they can’t be said to be sponsoring any of us. Also, if we are talking planet Earth here, Shorten doesn’t even remotely meet the definition of a “rabid leftie”. Anybody who actually understands politics knows Shorten and his policies are slightly right of centre. I don’t know if their “agenda” is very different, though – they both kow-tow to big business, especially to Rupert Murdoch. Turnbull just gave Foxtel a $30million handout. Is that what you call socialism? Ex, exactly. You are 100% correct. I don’t know how you rehabilitate a public agency that has changed from data collection and analyses for science to data adjustment and [snip] to meet the objectives of a corrupt and politically driven science. When the objectives change the original data must be destroyed to cover up the malfeasance. So what’s to be done? I suppose a qualified and independent analyses of all taxpayer funded science in Australia is a paramount need. Is astronomy, biology, chemistry, etc…to zoology also being corrupted to meet the climate change needs, for other needs? How much of the overall value of science in Australia been reduced or destroyed? What a sad disaster, can it ever be reversed? Watch you thoughts, thoughts lead to actions, actions to habits, and habits define your character. What is the character of public science in Australia? And, finally, is there a way back to good science in the true public interest? It is not just the scientists themselves, I think the corruption is well entrenched in our teaching, at all levels. This corruption is in the peer review process, the journals, the publishers and the mainstream media. I guess if science managed to survive the dark ages, there might be hope for some sort of new renaissance. I’ve forwarded that neat little summary to the family. They are simply Public Servants; subservient to their political masters. In reality, they may well be neither. There is little that appears ‘simple’ about the well-heeled, well-schooled, well-educated, experienced upper echelon bureaucrat that epitomises the apolitical with professional disinterest. I contend such persons increasingly act deliberately, with political awareness and a collective self-interest. En face ‘subservient’, and apolitical, there to stay, master after master, administration after administration, election after election. In reality the purposeful orchestrator, manipulator and policy architect wedded to a personal political agenda of eco-Globalism. Not much new here. Indeed, a subject of comedy. But like the betrayal of the Fourth Estate, who now favour news manufacture over mundane critical reporting, drunk with their ability to exercise power and influence, is it not more than conceivable that the Bureaucracy of Australia has also ‘evolved’, fostered by a cabal of the willing and the purposeful, in part seduced by an awareness of their own power, but perhaps more to the point, the willingness to use it? The same might be said of New Zealand or Canada or the UK, certainly the EU and the US. The MSM project the image and the direction, the Bureaucracy drive expedition. As for the hapless politicians, pick your own epithet. Such is the ‘Deep State’, no longer quite so ‘deep’ and increasingly, exposed, thanks in part to a growing consciousness of the only group not referred to thus far, the wider populace, and in greater part to the inevitability that those who wish to be unseen must eventually reveal themselves by their actions. Quite so. Any serious change of government in, say, South Australia will necessitate replacing the top two or three layers of the bureaucracy. Against that, the developments of the past half-century, culminating—to this point—with the intense dependence upon wind to generate electricity will continue without electoral interference. Decline will continue unabated and the bureaucracy aided by foolish politicians will drive it. That’s life in a one-party state, de facto or real. I think the Donalds tactic of draining the swamp is a good one…..which is another reason the left hate him so much – he clears out the caustic leftist power structure. It’s the Tofu-de-beest (Gary Larson) I worry about. The independent audit (due diligence) PM Abbott wanted conducted at the BoM in 2014 must be carried out, but first AFP to secure records and computers, followed by appropriate charges for public servants destroying historic record data and tampering with data to deceive the taxpayers who employ them. Agreed. They are paid to produce temperature & other climate records. From that data decisions can be made about future. Deliberate destruction of records not in accordance with their fantasies is gross failure of duty and destruction of Commonwealth property. Immediate suspension while these matters are examined, and if found to be true then summary dismissal and criminal prosecutions to follow. They can’t… regardless of other issues like bad data. The IPCC predict future Global Temps via “GIGO Computer Modelling” techniques with any inconvenient vintage temp data being adjusted to fit the model – quite simple really – one could call it “Anti-Science” with a major focus on smoke & mirror techniques, a discipline that has grown exponentially during recent time. As I read right down through all the comments here including off topic items outside of the BOM debacle that Jo has highlighted, it becomes so bleeding obvious that ALL of the incompetence, cockups, deliberate scientific malfeasance, corruption / destruction of data and information and the “deep state” political malfeasance are being caused, created and carried out by the very highly paid and mostly acaemically trained members of the ELITE of our sociey. The rot is beginning to set in and the stink of incompetence and outright corruption of the body politic and the elitist and academically run sections of the bureaucracy is becoming overwhelming to the man and women on the street. I have sent a link of this to Tony Abbott. Abbott’s request for an inquiry into BoM data tampering, refused by his own minister, was one of the reasons they got rid of him, along with his scepticism about globull warming. The other was his unwillingness to import some of the world’s most uneducated, unassimilable and violent people. Here Lord Monckton talks about the risk for Tony Abbott before he was removed. Refused by a small majority in Cabinet, no doubt “Black Hand” faction or Turnbull allies. China Daily referred to it as a ‘political coup’. Not storing raw data no matter how old it is, is such a fundamental violation of the scientific method that it suggests only either incompetence or malicious action. When a peer reviewed scientific paper is accepted for publication that data that is not in the main body of the paper because it is too lengthy etc. is stored in perpetuity by the journal because it is never known when a new insight might be gained or errors might be found. And it is a trivial matter to store either paper records or digital records. Now I wonder if there are any pre-homogenisation records, i.e. original raw data left? The whole database is starting to look so altered and unreliable that it may very well be totally useless. Perhaps the only useful records will be the original hand recorded mercury in glass thermometer records – if they still exist. If you don’t have the raw data, then you simply have no data. Anything subsequently produced from modified data, as some form of evidence, has to be dismissed or considered suspect. I have raw photo files dating back to 2004, where the total files now constitute over 1TB of data, which I duplicate over several HDDs. BOM weather data being just text could be stored quite easily, especially if compressed. The BOM appears to be destroying evidence on a grand scale. If the raw data doesn’t exist, no data exists. Modified original data is null data. Corruption or loss of raw data frustrates (future) research such as that undertaken by Jennifer Marohasy in an effort to produce non-deterministic climate models with usable predictability. Does anyone know of anyone doing this? This goes way beyond mere incompetence. It has clear indications of criminal malice and negligence. In any business operation, those responsible would certainly be facing criminal charges. Why are these people at the BOM still walking free?? Malcolm Turnbull and his “Team Malcolm”. Oh. Right. No further explanation needed. Destroying original data is a bit like a company or individual destroying individual receipts and other documents used in the preparation of a tax return and just entering the data without supporting documentation. No one would get away with that if the Tax Office audited them. Neither should the BoM get away with it. The inappropriate treatment of scientific data and record keeping at the BoM seems to be a long standing cultural problem which Tony Abott tried to get investigated two years ago which triggered his removal. Also If I made a claim for expenses, at my workplace, without the original receipts, I would get very short thrift. Malcolm and his ‘team’ are debating gay marriage, their highest priority. Immediate suspension pending and equiry, which might turn up the original data. If not then summary dismissal. confiscation of all superannuation and criminal prosecutions. I posted this german to english “NoTricksZone” blog post extracts in Jo’s BOM scandal Heats up ie; post, No: 67 ; August 4, 2017 at 2:29 pm. Klaus Hager also has a website. At this website he posted a meteorological bulletin, which he authored and was published as an annex to the Berliner Wetterkarte (Berlin Weather Chart). That bulletin was about the results of his eight and a half year study where he compared in a side-by-side test the former glass mercury thermometers with the newer electronic thermometers, which were installed during the 1980s and 1990s by Germany’s DWD German Weather Service. Hager compared the two different measurement systems side by side at the GeiInfoAdvisory Office of Fliegerhorst Lechfeld from January 1, 1999 to Jul 31, 2007. Clearly the electronic thermometers produced warmer readings than the mercury thermometers. Hager provides an example illustrating why one must be very wary when comparing data from the new electronic instrumentation to data taken from the old mercury thermometers. Figure 2: Pt 100 measurements taken on 12 November 2005 at Fliegerhorst Lechfeld (WMO 10856) station. Red curve (upper) is the measurement sensor of the aluminum enclosure, showing daily mean temperature of 5.9°C. Blue curve (lower) is the Stevenson screen, showing daily mean temperature of only 5.2°C. Differing daily measured values from the old and new sensors for temperature measurement spurred the author [Hager] to conduct a comparison spanning from January 1, 1999 to July 31, 2006 at Fliegerhorst Lechfeld (WMO 10856) 8-1/2 years long, daily without interruption, among other comparison tests of mercury maximum glass thermometers in a Stevenson screen and a Pt 100 resistance thermometer inside an aluminum enclosure, both unventilated. The 3144 days yielded a mean difference of +0.93°C; the Pt 100 was higher than the mercury thermometer. The maximum daily difference even reached 6.4°C! Klaus Hagers web site as quoted by Pierre Gosselin re the above DWD mercury / alchohol to solid state temperature sensor readings fiasco if somebody wants to do a german to english translation. ‘In the walls of the cubicle there were three orifices. grating. This last was for the disposal of waste paper. George Orwell 1984 Part 1. I was thinking of that passage, and couldn’t, for the life of me, remember where I read it. And up it pops, right on cue. Bathurst Gaol meteorological data appears to have gone missing, can’t find it in the archive. Any help in finding this raw data would be appreciated. I have that data as CDO up to March 2007. It is in fragments, so some work here if you really are wanting it. Don’t forget folks that according to some climate experts, we need a lot more climate scientists to achieve accuracy [ aka; make even bigger cockups ] in the climate predictions for Australia. And there is a shortage of climate scienctists who can program the models to achieve this accuracy. 6) A number of specific areas are moderately or critically under-resourced. Critically under-resourced areas include general climate modelling, certain areas of climate understanding (micrometeorology and boundary layer dynamics), and the development of models that take into account two-way interactions between humans and the climate. Because climate science is a highly complex and interconnected eld, this under-resourcing presents moderate to signi cant risks to Australia’s ability to deliver necessary climate and weather information to domestic end users and national and international organisations. Climate modelling provides the only tool with which Australia will be able to predict climate variability and change, provide future climate scenarios (for di ering emission trajectories), and provide detailed local information. The Australian team developing the Australian Community Climate and Earth System Simulator (ACCESS), a weather and climate modelling system, is a small fraction of the size of groups building equivalent models for their regions in other countries. The current level of resourcing of Australia’s climate modelling activity will not allow Australia to keep pace with world’s best practice. This shortfall is brought into sharper focus when considering that Australia is potentially more exposed to the impacts of climate change than most developed nations, and our location means that key climate drivers in our region are not well represented in climate models developed in other countries. 7) To position Australian climate science to deliver necessary knowledge over the coming decade and to ameliorate climate risks to the Australian economy, a staged increase in capability in the under-resourced areas of approximately 77 additional FTE over the next four years is required. This figure (77 additional FTE) is in addition to the 15 FTE in decadal prediction at the CSIRO climate centre in Hobart recently announced by the Minister for Industry, Innovation and Science, as well as the small additional capability that will be provided from 2017 through the new Centre of Excellence for Climate Extremes which will replace the previous Centre of Excellence for Climate System Science. The review has identified a priority order in which the addition of this capability might be staged, starting with27 FTE that are urgently required. All totally bloody useless when the data they rely on to both program their models and to supposedly back verify their models has been eliminated/ destroyed / corrupted/ lost beyond being recoverable by the Met Bureau. But hey this is climate science so we will just make up some data and nobody will ever know the difference. And we will just be able to continue right on getting those big grants if we can keep the populace sufficiently alarmed and fearful. A bit like the solution for bad science is…….more bad science…..
Only socialism can be this disfunctional and still keep going through blind faith – a broken system can keep working if there is nothing else to compare it to by killing off democracy and capitalism…..
‘n funded by taxpayers, not even their own data. We need to do a worldwide crowd sourced weather monitoring project. This would involve the development of a cheap reliable electronic thermometer and enclosure, properly sited, connected to a home wi-fi network which constantly uploaded data to a central server. This is the only we will be able to get honest temperature data. Way not we. My bad. No David, you cannot force honest and true databases upon corrupt scientists, they will only destroy, modify, or ignore the databases. It all comes back to character building in the home, churches, and schools. When home, churches, and schools do not teach ethics, decency, and duty all towards the absolute need for truth the society is in trouble. Destroy the home, destroy the religion, and destroy the schools and the Marxists have won. From my Christian point of view, this is why the Devil is working so hard to get the Biblical God out of every day life, our schools, our workplaces and our lives…the devil knows full well that he has to remove all moral references before he can corrupt and abuse humanity to the point hey become as dysfunctional and messed up as he is…. 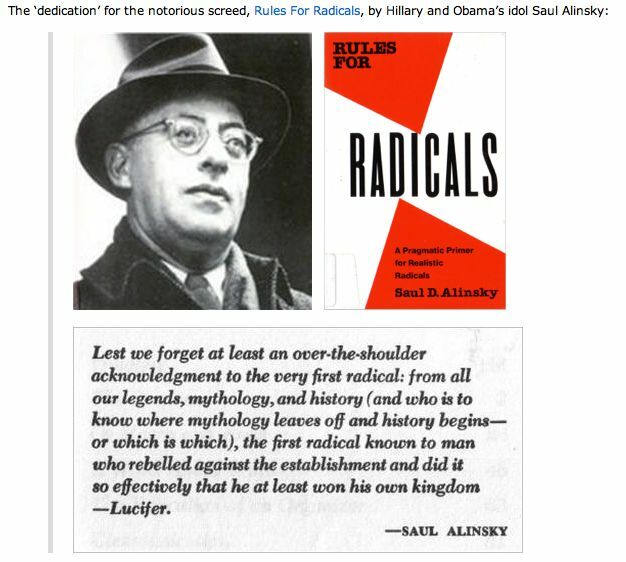 I find it instructive that Leftist Saul Alynski dedicated “Rules for Radicals” to Lucifer ( the devil ) and had no qualms acknowledging him. I suspect the whole post-modern thing is also demonically driven too. One phrase I loathe is “dont judge me” – it invokes the “victim” defence and implies no one is allowed to say something is right or wrong. Humans know when something is right or wrong – its built into us by God, we ignore it at our peril. Or worse, we stupidly allow ourselves to think we are smarter than God. For the wisdom of this world is foolishness to God. The CoCoRaHS precip network out of Colorado State University may serve as a model. I am a member and keep accurate data. There are thousands of folks across NA who send in daily records. Just a thought – check historical T records of u/g product tanks, there could be some available from petrochemical Companies. Further to my previous post, regarding the [snip ... speculation of corruption ] at the BOM. This behavior is identical to that of the Government in SA. They dynamited the power stations that they had forced into closure. The thinking behind this is very clear. If they destroy the power stations then nobody in the future can bring them back on line again, and the purity of their malicious ideology is preserved. The same thinking is being applied at the BOM. If there is no data, then nobody can show that they are wrong. Or lying. Or just malicious. I thought that we had already seen the extremes of malicious and destructive ideology. I had thought that benchmark had been set by Daniel Andrews burning One BILLION dollars, to protect the sinecures of his union mates. Seems I have been leading a very sheltered life. The BOM has set new standards. I don’t think even God can help us now. The BOM has set new standards. The BOM have done a Hillary. At least the people over at BleachBit have a sense of humour and undoubtedly her antics with destroying data was good for business, too. For US$5.00 you can actually buy a Hillary inspired Cloth or Something to get rid of that pesky data. William I sense your angst, but the science is not settled yet. Unless we can offer a different paradigm to the established model then we won’t win the political debate. SA & England cricketers are wearing sweaters in Manchester. in South Dakota, a “high” at the AIRPORT set a record for the coolest Aug 5 maximum? While the calendar says we’ve just passed mid-summer, area residents have enjoyed a feeling of fall in the air the past few days. On Saturday, Yankton unofficially set a record for the coolest maximum high temperature for Aug. 5 with a high reading of 63 degrees at the airport. That beats the previous coolest maximum reading of 70, recorded in 1963. Who’d have thought we’d finally get to this point heh? This is the “who controls the past controls the future” scene from “1984″, the second version made in 1984. It could almost be the Homogenisation Department at the BoM. The novel and movies were prophetic and came from Orwell’s deep understanding of human nature. For all you BoM staffers secretly reading this, SHAME on you for not Whistleblowing or doing a huge upload to WikilLeaks. In the old days, they used to get a bucket of yellow paint, and…. Message to BoM staff secretly reading this blog. Don’t ever DARE insult true scientists, technicians or public servants by referring to yourselves as such. Scientists and technicians: You insult the professions with your dishonest manipulation of data and failure to keep proper records. Public servants: You are meant to serve THE PEOPLE, not your Marxist-influenced political masters. All will be excused if you Whistleblow, leak or do a huge upload to WikiLeaks. You will at least have lead an honourable life and history will judge you well. This somehow reminds me of the novel I read a long time ago. In George Orwell’s 1984 it was a mandatory routine operation to destroy all original records, so that the there were nothing to contradict the rewritten history by the Big Brother. See my post and video clip above. The worst part of this is that government policy is being driven by the belief in CD that this data fiddling has driven. The real financial damage is government policy – namely the RET. It is doing incredible harm to the economy. It is so insidious that very few people comprehend how it works. I have been a great beneficiary of its distortions through anticipating some of the consequences. I did not anticipate the full extent of the damage it is causing but now have a better idea. It seems that attacking the BoM misses the mark. They are the useful idiots in this – not innocent though because they get funding for their particular agendas that are underpinned by the CD agenda. As far as I can see Malcolm Roberts is the only politician in Australia who is vocal on the topic of ending the RET. He is encumbered by all the other baggage associated with Pauline Hansen so he makes little impression on that particular topic. I have the view that “End the RET”, as a single policy, would be very powerful if people actually understand how it is driving electricity and gas prices. There is no way that existing solar and wind technology can be economic and I have doubts that it has a positive return on energy invested in its present commercial guise. Now to a question or three. What is the most effective way to End the RET? Should there be a Facebook page, for example, dedicated to this objective? How many here would be willing to contribute in social media on the topic? Forget Facebook. Take a look at Jo’s FB page! She obviously sees nothing to be gained by trying to educate the great unwashed in society. Having myself tried on numerous occasions to share some of the topics raised on this site with FB readers, I now tend to agree with that assumption ! There are a lot of dumb disinterested people out there ! Rick, Bodge, FB has a purpose and reaches the networking personality. I don’t shun it at all, but I am too busy to do everything, and I don’t live in FB world, though I know many who do. It would be good if I put more up there. Thanks for reminding me. You need to get over your apprehension about actually saying something. No doubt you have a point in mind but it rarely seems to come through and makes your comment seem like an interjection. The posting onto facebook can be automated from wordpress. Information is written once and transfered via scripting to other formats. Thus the “not living in a FB world” need not be an impediment to having a FB (or whatever social media platform you can name) profile. Jo, I was not expecting you to run an End the RET page. My thought was that someone highly vocal on the RET like TdeF would be wiling to sponsor a FB Group page for End the RET. Based on the red thumbs I think Craig Thomas is the only true believer who still visits this site. So everything here is preaching to the non-believers. The knowledge needs to be cast wider. Another site I monitor regularly and occasionally offer an opinion is MacroBusiness. I have noticed a gradual shift in the understanding of intermittents. The hosts are still firmly believers but each week there are more contributors making the connection between intermittents and higher electricity prices. If the RET is not stopped we will see wholesale electricity prices up around $700/MWh in current terms within a decade or two. There needs to be an order of magnitude reduction in energy storage costs before intermittents can be in any way economic. It is interesting that there is no current battery storage technology that is cheaper in terms of energy invested to energy out than just installing more wind generators. That requires massive over capacity. I am sure you really mean Fakebook. Censorship is their latest method to achieve their socialist agenda of progressive politics. getting seriously fed up with the state of the Australian data. so many new stations have been introduced, so many false references.. so many changes that aren’t documented. It’s worth going to http://www.blc.arizona.edu/courses/schaffer/182h/Climate/Harry_Read_Me%20%28Page%20Numbers%29.pdf and searching for ‘australia’ to see many references to problems with the Aussie data. More climate ‘scientists’ are not going to fix the data problems. More disgraceful (non)actions by the Bureau of Metreolgy revealed. Failure to keep proper records is just not acceptable! This whole business is disgusting because it proves finally, beyond any doubt, that we no longer have a government. When an organisation is unable or perhaps even unwilling to carry out the simplest temperature measurement, then record the data and store it we have a serious issue. Beyond the failure of government to ensure the simple straightforward tasks set the BOM are carried out there is a strong indication of criminal behavior. Who is the responsible minister? Relieve the Minister and executive management of the BOM of their positions and find out why recorded data has been lost or destroyed. There is NOTHING simpler than the basic tasks set the BOM and the failure to carry out these tasks is appalling. Is there nobody running this country? The politicians, not all of them, are performing to their own satisfaction and dancing to the tunes of the UN based socialists who want new world order and one world government. Too much to post here but check what former Labor Leader Kim Beazley said in the lead up to the republic referendum. It only makes sense of there was UN based one world government … that the UN has advised him that “when” Australia is a republic the UN will allow the government of of republic to take control of assets here (listed). “As far as the Political Parties are concerned the United Nations has already taken control. I hadn’t heard of that before. How many others realise the bossy-boots UN planned that? Where was their mandate to plan such a takeover? The push for republicanism begins to look like treason in the light of that. Its called “Deep State” KK. It believes that any political operative that attempts to force the Deep State, the individuals who buried deep inside of a bureacracy and who believe implicitly that they and they alone know what is best for the nation, will try to destroy any politician or individual who might threaten their agenda let alone their existence. However the highly secretive and interlocking cabals of powerful, slimy, power grabbing bureacrats that make up the Deep State MUST have a political figure who is challenging their stranglehold on the political fortunes of a nation so that they can unite with one another to destroy that figure as we are witnessing with Trump at the moment. If such a figure does not exist then the numerous and highly secretive factions including most of today’s media will begin to fight amongst themselves in the endeavour to push and promote their own bureacratic power grab and promote their own agenda against the efforts of other Deep State factions who will be doing the same for their particular brand of ideological beliefs and power grabs. As an example of the bureacrats of the Deep State beliefs is Aldrich Ames, the highly placed American CIA director who betrayed dozens of America’s assets in the Soviet Union leading to their executions. Ames once told a reporter that He knew what was best for America, not the politicians or President. Yeah but it’s hot snow . I’ve been keenly watching this Blizzard of Oz for the past 4 days from across the Tasman Sea, saving pics and temp/wind details (25.3˚C below freezing wind chill at Thredbo Top Station 5 Aug) while Mt Hotham received 80 cm snowfall in 24 hours – surely a record breaker, apart from the last time it happened, and the time before that. Yet nary a squeak about it from our media: I don’t watch TV but radio/interweb has carried nought of it… down the memory hole. But Europe is burning, they shriek! However, this hilarious NIWA joke was released yesterday, claiming our capital city (renowned for cold/windy/semi-Antarctic weather outbreaks) will suffer Sydney’s climate “by 2090 if greenhouse gas emissions continue unabated.” Bring it on! From the comments, most of the locals are ecstatic at that outlook, albeit tongue-in-cheek… 2090! How to end this ruination of science and society? We need to get our act together. Politicians control the purse strings, so either STRONGLY remonstrate with the politicians in such an embarrassing way (for them) that they come to their senses, or join a party and change it from within, or stand for election yourself. Pick on a couple of likely targets and doggedly hit them with emails, tweets, heckels, exposure of anything embarrassing, just like the hard left do to ever they take a dislike to. For normal, nice people, it will feel like a horrible thing to do, but what are the politicians doing to you? If your media is corrupt in Australia, then you have to target them as well. Are ‘normal’ people ready for the fight of their lives? No good joining a party, on climate change the parties are in agreement and the science is settled. In the same light there is no point in running as an independent unless you are a truly charismatic individual like Donald. The great bulk of the MSM in Australia has been corrupted and there is no hope of a renaissance in the short term. No, they have been totally brainwashed using the same techniques they use in China. It seems that not very many Australians know or remember that Labor PM Rudd early in his first term in office was flying to Perth WA on a RAAF VIP Flight jet which was diverted to Broome WA where Rudd apparently met with the chairman of a television broadcasting network. When PM Rudd returned to Canberra, not too long afterwards the government announced cuts to broadcasting fees that to the whole industry combined was worth a lot of money. Around that time the ABC funding was boosted and they were handed a contract to broadcast on behalf of the government into Asia, a private sector broadcaster was in line to win the contract. And of course extra funding was granted to ABC. You mean because we can deduce the money transfer from the treasury to a private enterprise. Whooda thought our ABC was being used as a conduit to a private bank account. Maybe auntie was an innocent conduit. That television station, would that be the owner of Channel 7 whose holiday mansion sits next to the beach in Broome? Reposted for excellence and relevance. Here is a clip of 15 mins or so that I recommend all watch, in the present context. Ironically, I sent this talk to Dr David Jones, Head of Climate Research, BOM on 15 June 2009, noting that it could be one of the more important talks he might ever encounter. I have no response that he looked at it. Dr David Jones, Head of Climate Monitoring and Prediction, National Climate Centre, Bureau of Meteorology is an out and out climate alarmist. He was banned a few years ago from a couple of climate blogs which were in no way really skeptical of the claimed climate warming / climate change fiasco. subject: RE: African stations used in HadCRU global data set. Fortunately in Australia our sceptics are rather scientifically incompetent. So save your effort in trying to knock any sense at any level into David Jones. In a nutshell you have here an example of the arrogant and as it is turning out grossly incompetent attitudes of some BOM personnel towards those who ask questions of their performance and results. And who are arrogantly contemptous of the fact that the Australian public have paid them rather well to produce competent and accurate results and data collection and predictions on weather and climate for what that is worth. The Australian Public should be entitled to exam any BOM document in full at any convienent time without chargethat is in or was at one time in the BOM’s files [ if they haven't already destroyed it. sarc? ] as all that collecting of data has already been fully paid for by the Australian tax payer who should not be forced to have to pay for access to BOM data twice, data that he / she has already paid rather generously for through their taxes. Interesting but filled with hopeless expectations. Consider the massive amount of effort that has gone into discovering the fact that there is in existence NO DATA about the temperature history of the climate in Australia. There are terabytes of numbers that might or might not have been derived from actual data but no actual data. By data I mean the raw information of the readings from the instruments, the actual CALIBRATED transducer functions that give the results in engineering units. Along with that, the all the meta data about the site conditions, movements, transducer changes, time, date, persons involved, and the like. This data, if even recorded, has been destroyed by common practice and formal protocol. Only the numbers that have been sliced, diced, homogenized, averaged, boiled, chewed, spit out, and otherwise corrected to conform to the political correctness of the moment exist. Not only once, but repeatedly for the whole record to the present moment. I am not so sure that even the information about today’s temperature is even close to reality without my actually measuring it. For that, I use a cheap indoor/outdoor thermister based instrument with a 0.1 degree C or F resolution readout. I have calibrated it at two temperature points: ice in water and boiling water (Tap Water!). I don’t trust the reading to better than 2 degrees F.
Do I worry about 0.1 degree F change? You must be joking. It takes more than 6 degrees F change for me to take it seriously. My thermometer reads 75 degrees F at seated head level and 72 degrees F at floor level. What is the real temperature? I don’t know. I just know that, whatever it is, it is in my comfort zone. The above being the case for something as “simple” as temperature, how then can the potential multi Petabytes of stuff called data, collected and recorded by billions of people, be relied upon to have any useful information about reality? We cannot. The best case it is likely as real as viewing the world through bottoms of beer bottles AFTER drinking a case of it. The amount of data is irrelevant. The mean of a set of invalid data is itself invalid. It is a number without connection to anything but the invalid data set and is without real world meaning. Yet, we are being screwed, glued, and nailed to the wall by decisions made by our self selected betters. (Elections? I trust them as much as I trust the “data”.) All based upon hokey politically correct data mining analysis of mountains of crap called data. The so called data being generated by no better process than Australia’s historical temperature record. All done by people who are to receive their pay without reference to the quantity, quality, or meaning of the work they do. That is as long as the taxpayers pay the bills. Cynical? On my best days I don’t get as high as being cynical. In fact, I am convinced most of the stuff out there is not even good fiction let alone actual data followed by honest analysis. This is why I repeatedly say that our only hope consists of stopping feeding them. Let them starve based upon their own efforts but make damn sure they are not consuming you in the process. Then, when the agony and dust clears, we might have a chance. Until then, keep your guns loaded and powder dry or the logically equivalent, just in case. At its root, modern technological civilization is strongly based upon mutual trust. We are living with the ghost of that trust right now. Once that is gone…. The UK Met Office can save the day for CSIRO. They can now generate 3500 years worth of data on their new computer by using a handful of measurements: in fact, probably they don’t really need any measurements as they are just a nuisance. Aren’t computers wonderful in the right hands! That reads like he got some data he didn’t want. The inference is too much, not too little. “nearly everywhere” is doubtful, in my limited experience of looking at QLD data most stations still have the manual equipment. Also, Richmond (QLD) PO (manual) and airport (AWS) provide a pair for comparison for around 20 years. Many other pairs exist elsewhere, though not actually side-by-side. That is good news Mikky. This tantamount to a doctor throwing away his patients’ medical history files to hide his own mistakes. BOM the gift that keeps on giving , I see the trolls are quiet for a change . So these people continue to destroy any kind of evidence that does not fit their agenda. ask for more taxes . Not just in Australia. I vaguely remember that UEA CRU unit could not provide original data because they did not have enough disk space to preserve them. That’s government as business. A business has to keep at least 7 years of records, at least for tax purposes. Major temperature series continue to adjust the past. They have never heard of version control, of Git, or Linus Torvalds. I haven’t thought about it, but intuition suggests to me that a four terabyte hard drive might hold about a thousand years’s worth of text files. And yet the ABS planned to keep the Census data for 100 years for a posterity time capsule at a time when people are more interested in their ancestry than ever before? What were these bozos thinking? At the very least they could have fired up a voluntary ‘Friends of the BOM’ group to digitise these paper archives, what with the scanning technology and OCR we have nowadays. Mass sackings should ensue. o/t but quite a change at theirABC? The push is on to convince the Federal Government to ensure a high-efficiency, low emission coal power station is built. The CEO of Tomago Aluminium, which is the largest user of electricity in New South Wales, says he’s been meeting with MPs from both sides of parliament to say renewables cannot supply the baseload power needed for manufacturing. Matt Howell also says he doesn’t want a repeat of last summer, when a heatwave cut supply but is already factoring in the prospect. REPLY: Matt Wordsworth: he’s not a lone ranger.. Fed MP George Christensen wants fed govt to pay for a coal power station. REPLY: Sallie Forrest: Q. on his proposed solution to climate c. would have been good. Coal is subsidised by avoiding cost 2 health from air pollution + climate c.
if u click on Burton and Sallie Forrest, you will get their twitter pages. Sallie is a bit of a climate activist in Perth, & something of a SJW. Why aren’t some heads rolling at the BOM? Why aren’t heads rolling everywhere ?? Because these people do what they are supposed to do. Roy, unfortunately very few people care or understand the problem. This is the result of the deliberate dumbing down of education over the last 40-50 years in both our countries and Europe. Search YouTube “Mark Dyce street”. Pruitt will be visiting Australia later this year and hopefully his red and blue teams will be battling it out in the public arena. I see a glimmer of hope for Australian democracy, with Abbott as PM before Xmas. I hardly dare to hope EG…I do hope you are right. Richard S Lindzen in a guest post at WUWT says it all in one long sentence. He really does hit the mark. I nominate Lindzen and Curry for the Red Team. That’s about the whole story. 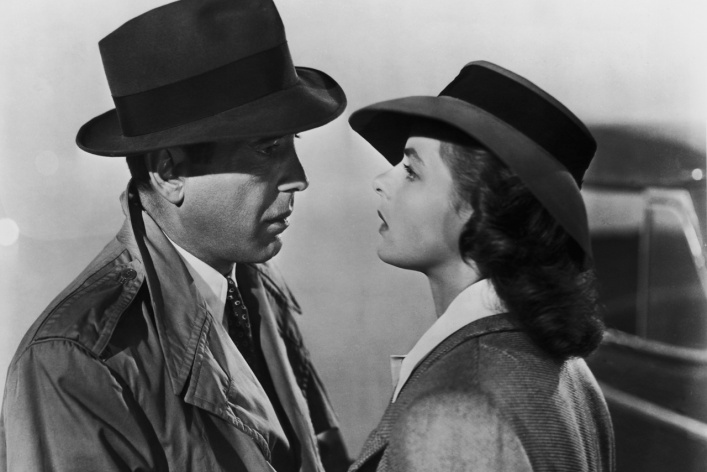 But I will argue that it’s always been more or less that way because that’s human nature. We don’t fight for ourselves until the matter becomes critical. Of course it’s made worse by our schools leading people away from useful knowledge and wisdom and toward nonsense like climate change. But basically I think we’ve always been that way. So the thugs who dare to risk getting shot, shoot up our streets even while we outnumber them and if we were shooting back we could drive them straight to hades. But how many will take the chance? In Wisconsin and Michigan on Friday, shorts were swapped for sweaters as high temperatures hovered around 60 degrees — some 15 to 30 degrees below normal. The first of several spells of below-average temperatures saw shorts exchanged for sweaters across the east of the country over the weekend, with lows of 60F in Chicago and Green Bay on Friday. Experts say a southward dip in the jet stream is causing the cooling effect. This pattern will continue into the second week of August with below-average temperatures affecting much of the East Coast, Midwest, and some of the South. ***The Weather Channel reports that Sunday morning saw record breaking lows in Missouri, Kentucky, Tennessee and Indiana. 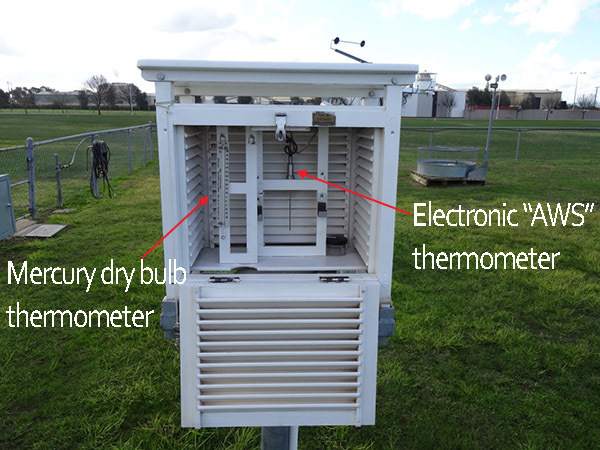 When considering long term temperature records, we use proxies in the absence of measurements. These proxies are seldom brought forward into the era of actual records. In addition, there must be millions of independent recordings of temperature, and thousands of small forgotten data stores. jury of the public would, presented with the evidence, also say yes. the task of reconstructing the past could be left to scholars who might be interested. We are at an important tipping point in public policy. It has long been the tradition in the world’s more open societies, that government malfeasance resulting from good intentions carries no penalty other than loss of office. Buying into a crackpot theory is not traditionally a hanging offense; the clearest related example is the various health fads that have become government policy for a bit, then abandoned when found to be the result of bad research coupled with excessive advocacy. On the other hand, if an official created a health scare to cause the values of a stock owned to rise, jail time would result and be generally approved. The theories, no matter how tattered, supporting CAGW, are at least debatable, and we can forgive a public official we find weak-minded from falling for them. Falsifying data is a completely different kettle of fish. It is the point at which, I believe, civil inquiry should end and criminal investigation should begin. It is time for a formal, forensic audit of the data collection and storage used to set public policy with the power of subpoena. Unlike the advocates, who think ‘deniers’ should be punished preemptively, i am not looking for specific individual accountability, but it is surely time for institutional accountability. Supposing a forensic audit of BoM data were to be done, I am curious who we could ask to do it and who would be accepted both by the good side (us) and the forces of darkness (them). One of the world’s most divisive figures, environmental evangelist Al Gore returns with An Inconvenient Sequel. According to Jennifer Marohasy, “Minister Josh Frydenberg was told by the Australian Bureau of Meteorology on, or about, Wednesday 5th July 2017 that limits had been placed on how cold temperatures could be recorded across mainland Australia”. We are waiting patiently Dr Johnson. Perhaps you would like to get some assistance from an independent external expert like Jennifer Marohasy? Meanwhile pollie Josh is back to work in parliament this week. Will he get asked a question about the BOM review? What update has he received from Dr Johnson? The Bureau of Meteorology holds the integrity of our weather observations and climate data to the highest possible standards. The Bureau rejects allegations aired in some media outlets that it has sought to tamper with temperature data. Contrary to claims, the Bureau has not deliberately set limits on the temperatures it records. The Bureau’s systems are designed to flag unusually high or low temperatures so they can be checked for veracity before being confirmed. Through this process it was identified that hardware at Thredbo and Goulburn was not fit-for-purpose, with outages occurring at very low temperatures below -10 degrees celsius. Initial analysis indicates this has occurred on one day in Goulburn and on six days at Thredbo. The hardware was replaced as a matter of urgency. The CEO and Director of Meteorology Dr Andrew Johnson has established a review to ensure the matter is understood and resolved thoroughly. The panel for this review will include expertise from outside the Bureau. Are they hoping that another month or three will go by as they bring together their experts, and the topic will be forgotten? Well SSM is about rainbows. There is the same historical rewrite here in the U.S. Probably neither country’s legislature ever imagined they would have to protect the records from their custodian. The only U.S. statute remotely applicable to the data erasure, (44 U.S. Code § 3106 – Unlawful removal, destruction of record) requires the head of the agency to notify the Archivist of actual, impending, or threatened unlawful removal, defacing, alteration, corruption, deletion, erasure, or other destruction of records in the custody of the agency, and bring an action through the Attorney General. Whom do we alert, Gavin Schmidt? Clear enough? Wait till it gets to court. While the object of the predecessor to section 2071, was to “preserve public records and papers intact from all kinds of spoliation, mutilation, or destruction” (United States v De Groat, 1887 (DC Mich), 30 F 764), newer case law has held that section 2071 only proscribes removal, etc., that deprives government of “use” of the records. (United States v Rosner (1972, SD NY) 352 F Supp 915). Well, of course, which is more “useful,” fact or fiction? Depends who’s answering. Maybe all that can be said for the U.S. remake of records is that at least it made a lawyer’s paradise. Not that they ever needed one. I hope federal law is more accommodating down under. I’m not a lawyer but not surprisingly fraud by Commonwealth officers is a criminal offence although I could find no specific reference to “alteration of public records”. A summary of relevant legislation that seems to apply is mentioned in the Department of Prime Minister and Cabinet’s Fraud Control Plan. Fraud is a criminal offence under Chapter 7 of the Criminal Code Act 1995. The foundations for this Plan and fraud risk assessment are stipulated in sections 15 to 19 of the Public Governance, Performance and Accountability Act 2013 (PGPA Act), and section 10 of the Public Governance, Performance and Accountability Rule 2014 (PGPA Rule). These sections set out fraud control requirements to assist the Department to meet its obligations under the PGPA Act. Breaches of the fraud rule may attract a range of criminal, civil, administrative and disciplinary remedies. Other relevant legislation includes the Public Interest Disclosure Act 2013 (the PID Act) which provides the legislative basis for whistleblowing including corruption or wastage of public funds, the Public Service Act 1999 (PS Act) and the Australian Public Service (APS) Values and Code of Conduct. In conducting the Department’s fraud risk assessments, which underpin this Plan, the AS/NZS/ISO 31000:2009 Risk Management – Principles and guidelines, the Australian Standard 8001 – 2008: Fraud and Corruption Control and the PM&C Risk Management Framework were followed. “Why, why, why wouldn’t a scientist who cared about the climate want to save this information?” – Our Jo. So true. Why wouldn’t ANY scientist worthy of the name retain raw data somewhere? We have weather data going back many decades, into the 1800s, long before computers made data storage cheap and easy. The British have those Central England Temperature records dating back even longer. Many here wring their hands in anguish that obvious corruption of the scientific method continues unchecked, and that those responsible for it are NEVER brought to account for their actions. And I understand that reaction at a visceral level myself, since I’ve been through the same anguish and powerful sense of injustice over and over again for years. But the point is this: The goalposts have been shifted. You can point out the glaring flaws in what they laughingly call ‘climate science’, and you can point the finger – quite correctly in every moral sense – at individual scientists and government bureaucrats who quite clearly do the wrong thing. But they’re not working to the same standards we fondly imagine still exist out there. There’s something very wrong with the world now. You can call me a conspiracy theorist if you want to but I look at what’s going on around me and I formulate a hypothesis to explain it. Then I modify the hypothesis in accordance with new events which transpire over time. It’s just the scientific method pressed into service to explain society and politics. And my hypothesis has gradually evolved to its present form. Communism became a dirty word during the 20th century. Everyone could see it involved bloody revolution, totalitarian control, genocide, and economic decline. Fabianism took its place; simply communism by stealth. If you can’t storm the gates, dig a tunnel under the walls. Fabianism is determined and, above all, patient – quite prepared to take three steps forward and be forced to take two steps back. It has spent more than half a century now infiltrating and undermining Western capitalism and democracy. All major organisations are now led, in whole or in part, by representatives of covert communism, and this includes august scientific bodies like the American Geophysical Society, the Royal Society, NASA, and the BOM (to name only a tiny proportion). What’s worse is the fact that state education – at least in Australia – is now entirely under Fabian control. A whole generation of our children, maybe two, have been indoctrinated in ‘socialism’. ‘Climate Change’ is no more than a tool, a weapon in the Fabian armoury, which is quite clearly the most potent instrument communism has ever devised to push its agenda forward. It’s a gift! Who doesn’t want to save the planet; to have ‘clean’ air, to fend off catastrophe? Only a mad person could be a “climate denier”. And our younger generations have never been given the schooling to think for themselves and sort out the truth from the nonsense. Those people at BOM are marching to the beat of a different drum these days. They have a plan they believe in and, what’s more, they believe it’s morally correct. At best they’re ‘useful idiots’ (as Lenin described the proletariat in Russia). At worst – and this applies, I think, to the likes of Turnbull and such, higher up the ladder – they’re amoral totalitarians at heart. And I’m loathe to say it but I think this is a global movement which is too entrenched now to be reversed. I can only pray that I’m completely wrong, that I suffer with undiagnosed paranoia, that all this is in my head, and that proper medication will simply make it go away. In summary, a neo-Marxist outfit whose goals are specified in Agenda 21 and Agenda 2030. Yep. I too don’t mind being called a conspiracy theorist in the face of an enormous conspiracy. In fact, I rather insist on being called that. The destruction is organised centrally, promoted through delegation, patronage, nepotism etc. That’s not to say that Fabians/Globalists/neo-Marxists organise well or to anyone’s final benefit. It’s just to say that they do it. We have a whole century called the 20th to prove they are far more determined than smart. Even as we are picking up the pieces from the collapsed or attempted empires of that century, they are tearing down functional borders and stitching up new empires, this time with the intention of stitching the new empires together into one technocracy. Like that’s gonna work. They operate through controlled language and presentation. By their-buzz words, hair-plugs and fake tans shall ye know them. Which would explain the paranoia of the Democrats, the left leaning media and the indoctrinated student bodies with regard to Trump standing in the way of their “progress”. First a big thumbs up for your work attempting to keep the bastards honest. For the average person, knowing that their government is deliberately faking evidence in order to prop up a misanthropic marxist New World Order agenda is approximateltely worth two yawns. Have you noticed? People just don’t care! The Loony Left has moved onto much more important things. You know, like the “reeducation” of school children about “gender”. All the history books sate that gender is binary (male and female). Looks like we got that wrong and gender is actually a “social construct”. Who knew? Climate Change controversy is underground now. Whatever duplicitous agendas were behind that grand hoax have been achieved and the “progressives” are moving onto other ways of progressively destroying the fabric of decent society. An interesting chap can be found here and his youtube channel has much to say about this dilemma. He was on “The Outsiders” and interviewed by Rowan Dean and Ross Cameron about ten days ago. The Greens, Labor and the Coalition are part and parcel of a pseudo Marxist consortium, the science is settled so lets talk about gender. Its an ideal distraction. The same as Obama and Clinton in the US were holding hands with the UN based socialists who are working to control the world (Agenda 21 now Agenda 30, man-made global warming con and stealing member nation taxpayer’s monies, etc) many or most of Australia’s politicians are too. The recent article published in The Australian covered the UN danger zone very well. The craziest part is that if it is possible to have an accurate global temperature, and if that temperature has been increasing short-term since 1980 or longer term since the latter 19th century, it matters not one jot. Since this too shall pass. But how do you explain to compulsive intellectuals – those people who boosted benevolent Stalinism in the 1930s and facile Globalism in the 2010s – that things pass and that trends end? Moreover when you consider the sharpness of recent cooling episodes, especially around 1700, do you really want to be stuck with the “solutions” of compulsive intellectuals when the present trends end? Bom have to have National Archives permission to destroy records. I checked the NAA website for record authority. There was none there for temperature records. If your findings are correct and I have no reason to doubt you as it seems that type of BOM behaviour is now par for the course, this could get as bad for the BOM and some of its personnel as is the current recklessness, incompetence and outright arrogance allied with an ultimate stupidity that the CBA and its CEO are now in the middle of. I wonder how long the BoM will take to homogenise the Blizzard of Oz? James suggests that a starting point of “the theme of the permanently imminent climatic apocalypse might be taken as 3 August 1971, when the Sydney Morning Herald announced that the Great Barrier Reef would be dead in six months.” For over 45 years, we have had constant announcements of its imminent death. and then the next infotainment program was ripping into some poor beggar due to his stance on SSM. The crows are now self declared premiership favourites after the beat a team that has failed to beat a top 8 team all year. Its gets worse as the finals approach every year and they wonder why they cant win a flag from the top four. Lids are made to be kept on. I think the Swans will prevail in 2017 – unbiased opinion – in 2018 expect Fremantle to be a force and the Eagles to fall away as they try and re-build. Sorry crakar24 but Mitch McGovern is heading to Freo in 2018 – well his dad did play for Freo. Maybe his older brother Jeremy will join Mitch at the purple team as well down the track. no-one asks the question – if all this EXTRA C02 is being pumped out, how come the temp of the earth is not SKYROCKETING, along with the price of electricity!!! Potent, climate warming gases are being emitted into the atmosphere but are not being recorded in official inventories, a BBC investigation has found. Air monitors in Switzerland have detected large quantities of one gas coming from a location in Italy. China’s approach to reporting its overall output of warming gases to the UN is also subject to constant and significant revisions. Its last submission ran to about 30 pages – the UK’s, by contrast, runs to several hundred. A report in 2015 suggested one error in China’s statistics amounted to 10% of global emissions in 2013. But Prof Glen Peters, from the Centre for International Climate Research, in Oslo, said: “The core part of Paris [is] the global stock-takes which are going to happen every five years, and after the stock-takes countries are meant to raise their ambition, but if you can’t track progress sufficiently, which is the whole point of these stock-takes, you basically can’t do anything. ***wow. just discovered it’s a talkfest! As of this time no honest scientific researchers should use any data from the BoM unless it can be certified as genuine unaltered raw data, but I don’t think there’s too much of that left? Do old paper records even exist anymore or have they been destroyed? There should be a paper trail in a repository somewhere, but finding where is the trick. ***the case reflects the insanity of CAGW zealots. Our support of The Conversation adds another exciting dimension to our long-standing commitment to ***education. The Commonwealth Bank is pleased to leverage our world-class IT support to help make The Conversation a reality. This innovative initiative captures the spirit and potential of the internet by engaging the community and sharing information. The Australian BOM has morphed from a scientific organisation into a giant political propaganda machine and History Grinder within a generation and prospered from it. The Paris Accord is like the Do-Do. Its dead, killed off because it has become irrelevant and can never be or ever will be policed and implemented just about anywhere. But like those who mourn the passing of the Do Do there are a lot of power grabbing aspirants who are deeply nostaligic about the collapse of the Paris accord. And like the hopefulls that one day a living group of DoDo’s might miraculously appear, they are all hoping that a miracle will occur and the Paris accord will once again become a ISIS type political instrument through which they can execise their power and influence over the peoples of the world. Somewhere not so long ago in another of Jo’s headline post comments I pointed out that almost none of the claimed emissions of global greenhouse gases are actually measured. Those numbers of the tonnages of emmitted greenhouse gases are all in almost their entirety, merely estimates and / or very dubious and not believable outputs of completely unverified, unvalidated modeling done by personnel who might be quite nationalistic and possibly somewhat incompetent as per BOM’s data recording and climate research section and will therefore slant any modelled output in the direction of advantaging their own nations and situation. The claimants and modellers of those supposed emmissions based on what is usually extremely dubious data from national bureacracies often have little interest in penalising their own economies . Particularly when they know full well that other economies and nations are going full bore with little or no enforced limitations of their own emmission and acting in line with their own national advancement goals. So they have little hesitation in deliberately distorting, misreporting and biasing any estimated and / or modelled tonnages of supposed national emmissions of green house gases towards advantaging their own nation and peoples. Like the BOM data or lack of due to deliberately displayed incompetence and bias, the real world true figures and data for national greenhouse emmissions from probably about 195 countries of the world out of say 200 countries is distorted at best and straight out pure guesswork and merely a pack of unjustified lies at the worst. And thats if they even bother to submit any data to the Paris Accord group in the future. yet another FakeNewsGuardian gotcha, tho I’d love if Pres Trump ordered staff not to call CAGW “CLIMATE CHANGE”. you want to push CAGW or AGW, then call it that and don’t confuse the public, who are being indoctrinated into believing there wasn’t any climate change before AGW. HuffPo manages to use ***VERBIAGE too! what a laugh. love how the headline has the denial, but the article carries on as if the allegation is true! But email correspondence just after the inauguration indicates otherwise. An exclusive report from The Guardian on Monday indicated that the staff in the Natural Resources Conservation Service unit at the United States Department of Agriculture were advised to refrain from using the phrase “climate change” in their research ― but the NRCS insists this never happened. pure propaganda. that’s all they have to offer. Whilst the article and comments here deal mainly with temperature, the BOM are incompetent and [snip] across the whole range of weather forecasts and records. For a long time now their short term forecasts have been appalling. In the early 1980,s I was operating an evening flight from Adelaide to Perth and when some 200 miles away requested the current Perth weather to be told it was fine for the next six hours. Some minutes later we became aware of flashes in the distant night sky and on shifting to the 180 nm scale on the weather radar were alarmed to see a long line of storms about 50 miles west of Perth. We just managed to land before the aerodrome closed. I have seen on a number of occasions the 4.30 PM Brisbane forecast to be fine whilst at the same time their own weather radar has shown a line of storms 30 minutes away. The BOM can’t even define a severe storm, not knowing what constitutes one and past records of severe storms are not available or have never been recorded. The three Cat 5 cyclones up the Qld coast starting with Yasi were never more than CAt 3 as no recorded wind gust or central pressure was anywhere near Cat 5 criteria. Innisfail was only 20 miles from the centre of Yasi and suffered little damage. Some of the data on weather stations near these cyclones has been removed and on many occasions their wind readings are totally false. A classic is the 15th December 2015 storm which caused damage at Kurnell where they showed a record gust of 213 k.p.h for five minutes, something which was impossible with height of the storm, temperature and time of day. No gust ever stays the same for five minutes straight. Re the cyclones. I found that as well when looking at the wind speeds of land sites when those cyclones occurred. The BoM used satellite measurements (which may or may not be accurate), rather than the land site data. I heard one BoM comment on one cyclone saying it was a Cat 5, then correcting himself to say ‘call it a Cat 4′. One interesting observation is that the number of land-fall cyclones has decreased over the past three years so the alarmists have to make each cyclone really count. 7 Aug: NYT: Lisa Friedman: Government Report Finds Drastic Impact of Climate Change on U.S.
***One government scientist who worked on the report, Katharine Hayhoe, a professor of political science at Texas Tech University, called the conclusions among “the most comprehensive climate science reports” to be published. Another scientist involved in the process, who spoke to The New York Times on the condition of anonymity, said he and others were concerned that it would be suppressed. LINK: Read the Draft of the Climate Change Report. btw check the photo chosen by FakeNewsNYT…hint, CHIMNEYS, SMOKE. Time for a new re-branding of global warming – Ooops I mean Climate Change – Oh nuts that is now Weather Extremes. Got that – Climate Change is out , Weather Extremes is in. I also like the comment from weeks back that 98% of electric cars are still on the road, the other 2% made it home. “Many lines of evidence demonstrate that human activities, especially emissions of greenhouse (heat-trapping) gases, are primarily responsible for recent observed climate change,” they wrote. It is not hard to find evidence that the Climate was different in the past (pollen in lake sediments), tree stumps above current snow line etc. What the alarmists cannot do is show one single piece of evidence that relates to human emissions of CO2. That does not stop them from proclaiming it however. The basic mechanism of “heat trapping” used to justify the whole thing is scientifically without foundation. There is only one gas in the atmosphere that “delays” heat on its journey back towards deep space and that gas can only delay because, unlike CO2, it undergoes phase changes and holds on to the LHV. That’s until It decides to give up that energy to deep space and come back to us as rain, sleet or snow. Perhaps water should be banned instead of the gas of life, CO2. Actually water acts to cool the Earth. The mechanism might be in doubt but the facts are clear. Here in Australia the hottest years are drought years. Comparative studies all show that wetter places are cooler than drier places when other factors are normalised. The role of water vapour is uncertain (at least to me). The Latent Heat of Vapourisation is the energy required to bring liquid water to a gaseous state. When incident UV hits the ground and degrades to IR the ground warms and can supply energy to liquid water to promote vapourisation. While Konrad and Will might want to argue the fine detail I feel pretty confident that without this mechanism there would be no clouds. Clouds can’t form without water in the atmosphere. When at higher altitude the clouds give up energy and form raindrops, the energy radiated can only head for deep space drawn by the temperature of about 1.4 C degrees above absolute zero. We both agree that the heat trapping gas, water, cools the planet. The LHF is the energy required to transform water from its solid state, ice, to the liquid form at 0 degrees Celsius. Being convinced by the experiments of Arrhenius, I have always avoid living in small, closed glass containers, especially ones without oceans and clouds. Don’t care how cheap the rent is or how good the view. Being very progressive in outlook, I don’t expect even my serfs to live in small glass containers…CO2 or no CO2. Ter be or not ter be. “We say that the Adani mine is a substantial matter of concern for the Australian public and that the shareholder needs to know how the bank is dealing with that concern,” he said. In a court of law those two would be torn to shreds, bring it on. We are seeing more and more scandals than ever before in the modern era. This is in all sorts of other areas as well as the climate change hoax. It’s not an accident the left are doing their best to twist things towards their side by any means possible. Not surprised also to find out the Californian vote for the last federal election has now uncovered a startling fact. There were more votes for Hillary than there are people in California. How long must we put up with such fraudulent activities in Western societies, business, science and politics? The problem now though is such activity is so widespread a thorough investigation into all of them probably would lead to a total collapse of our system as people’s confidence in authorities evaporates. It has already gone too far for the warts to be fixed without much pain. Still no pain no gain. They should be a service to provide raw data only which is provided free of charge to anyone who wants to use it, including numerous private sector weather services and academia. They have proven themselves dishonest with predictive services and treatment of data therefore predictive services should be removed from their responsibility. They should be subject to ongoing random forensic analysis of their records by multiple independent bodies including citizen scientists with severe penalties where alteration is discovered. As an incentive for others to find alterations in their work, a payment of e.g. $5,000 could be provided to the finder. The BoM employee who altered the data could be fined tens times that amount and employment terminated. 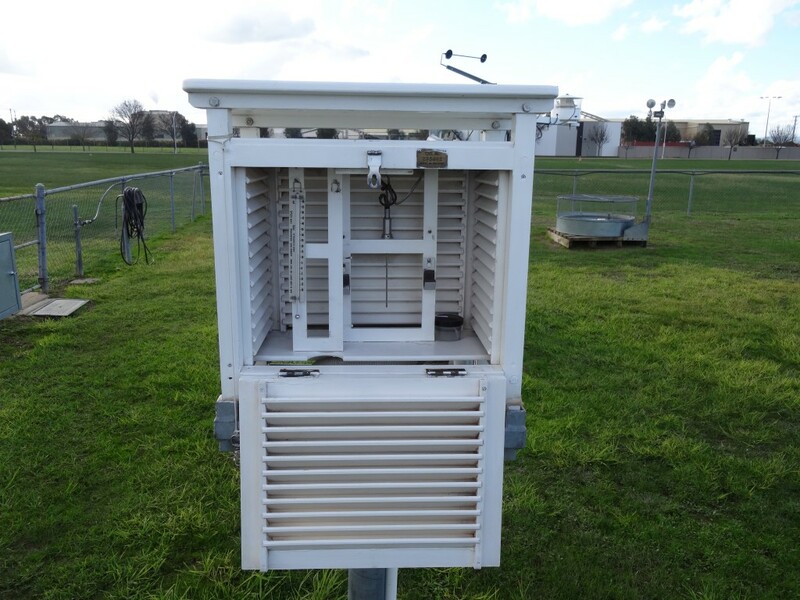 Other groups should be allowed to set up parallel weather stations with the BoM ones, at whatever distance is considered appropriate so the two stations don’t interfere with each other. Like your thinking DAvid but the Govt only has so much money and the fines could end up making us make Greece look good . Given BOM’s track record it’s no wonder they don’t want a hard copy of the actual temps to exist , I believe what’s been uncovered so far is only the tip of a very large iceberg of deceit . I doubt any MS political party will push for an inquiry wide enough in power and scope to come up with any meaningful conclusion . And the MSM will not publish any hint of BOM malfeasance, just publish and report more climageddon stories . How would two weather recording stations interfere with one another, unless they were so close that one shaded the other? Not only shading. Wind disturbance which can go a long way. My Federal LNP MP, Andrew Laming, says there was an Independent Review, and everything was found to be OK.
Stupid – I don’t believe so. They even lied to us about the lemmings jumping off the cliffs! Nobody can be trusted any more. The world is stuffed, and then you die. LONDON: Producers of processed lithium – an essential element for batteries used in electric cars – are agreeing long-term contracts with their customers to fund the investments needed to address a looming shortfall. Anyone else get the feeling that the lithium boom is about as exciting, futuristic and visionary as a hemp rope boom or paraffin boom? Heavy, old-fashioned batteries, but bigger. Sheesh. Even Weatherill is finding it tough to swallow (but he will swallow). It’s like they’ve stopped trying and are relying on lots of UN resolutions and earnest Guardian articles to carry their Green Globalism forward. Sorry, globocrats. You lost me at “battery”. 7 Aug: The Hill: OPINION: Can we wean Elon Musk off government support already? But granting literally billions of dollars in taxpayer subsidies to Musk’s firms isn’t the worst of it. No, that honorific is reserved for this little gem: In order to induce car buyers to spend their money on electric vehicles, the federal government offers a $7,500 rebate on the purchase price. Some states enhance that rebate with rebates of their own. In California, for instance, purchasers of electric vehicles get a state-funded rebate of $2,500 more. If you criticise Elon he’ll just employ another hundred fresh-faced drama grads to hug and high-five at the next SpaceX landing. Just as well the rebate/subsidy money is made up and borrowed or I could get really mad. behind paywall – why are these people quoted. why not quote people who can’t afford electricity? from cached version. hardly a review to help reduce the price of electricity! Helm said he was delighted to undertake the review at a time when “digitalisation, electric transport and smart and decentralised systems offer great opportunities”. Industry insiders also voiced fears the review had originally been conceived by former Number 10 joint chief of staff Nick Timothy as a means of supporting his previous argument that UK decarbonisation policies were undermining competitiveness. The panel includes Terry Scuoler, chief executive of EEF, the Manufacturers’ Organisation; Nick Winser, chairman of the Energy Systems Catapult; Laura Sandys, chief executive of Challenging Ideas; Isobel Sheldon, engineering and technology director of Johnson Matthey Battery Systems; and Richard Nourse, managing partner of Greencoat Capital LLP. However, writing on Twitter, Greenpeace’s Doug Parr argued the terms of the review were too narrow and should be extended to take a wider look at the cost of energy, including the need to decarbonise the heating system. The oil and gas giant is likely to immediately boast a sizeable customer base thanks to the 600 sites it owns and operates across the UK, including 550 petrol stations. The move is the latest part of a company-wide push into the power sector, which has also seen it step up investment in a number of wind farms. I could quickly write the report for the Oxford academic, an economist no less, by drawing on Dr Finkel’s cunning approach. Given that the future of the planet is dependent on a progressive switch to renewable energy, I have outlined in my report the lowest cost path to a sustainable future. Its key feature is an orderly transition to bring new generation into the market to improve reliability. Participation is based on low emissions, not technology type. There are no prohibitions, just incentives. It puts downward pressure on prices by bringing that new electricity generation into the market at lowest cost without prematurely displacing existing low-cost generators. It further ensures reliability by financially rewarding consumers for participating in demand response and distributed energy and storage. To deliver the desired security, reliability, price outcomes and reduced emissions, the blueprint recommends strengthened governance, system planning and an orderly transition. Without these three supporting pillars, the system will stumble again in future. If this blueprint is adopted, our electricity system will provide the performance and resilience that large and small consumers demand. What it won’t admit is that electricity prices will continue to rise. But it will point out that by 2050 it is expected that the costs of wind/solar/storage will be lower than they are today, trust us for we are the all knowing economists. Professor Dieter Helm, Professor of Energy Policy at the University of Oxford, and Fellow in Economics at New College, Oxford. In his book The Carbon Crunch and in print media, Dieter Helm has criticised efforts to reduce greenhouse gas emissions through current regulation and government intervention, and the deployment of renewable sources of energy, particularly wind power. He recommends establishing a carbon tax and carbon border tax, increased funding for research and development, and an increased use of gas for electricity generation to substitute coal. sounds like they’re looking for more than an ease-up on red tape! Some eighty days into Emmanuel Macron’s new job, Europe’s biggest renewable energy companies are still waiting for the French president to make good on campaign pledges to boost green power. To meet French goals of doubling onshore wind and tripling solar power by 2023, Macron’s government still needs to show it can support investments by helping developers cut through the country’s bureaucratic red tape. Companies including Italy’s Enel SpA, Germany’s EON SE and Innogy SE remain reluctant to develop renewables in Europe’s third-biggest economy. “We regularly check our existing markets and potential new markets on new project opportunities,” Innogy’s spokeswoman Viola Baumann said in an email response to questions from Bloomberg. This induces an anomalous cooling in summer, which is different to the warming seen over the rest of the Himalayas, researchers said. This Karakoram vortex goes some way to explaining why the glaciers in this region are behaving differently to those in most other parts of the world, they said. “While most glaciers are retreating as a result of global warming, the glaciers of the Karakoram range in South Asia are stable or even growing,” said Hayley Fowler, professor at Newcastle University. ***“Most climate models suggest warming over the whole region in summer as well as in winter,” said Mr. Fowler. “This vortex provides an important temperature control,” said Newcastle University’s Nathan Forsythe, lead author of the study published in the journal Nature Climate Change. HuffPo which ignores the above, comes to the rescue? I realize this thread is already old but the longer I look at that Stevenson screen so well detailed by Jo’s picture, the more I wonder just how well it can protect the thermometers inside from the heat of the sun. Regardless of its color, which is as reflective as you can get without putting tinfoil all over it, when the sun is hitting it it’s going to warm up. And no matter what you do, some of that heat will be radiated inward and affect the temperature reading. And this has bothered me all along as I looked into how temperature is measured. I know there are some of you who understand all this better than I do so here are my questions. Why does this work? What am I missing? Do they make some correction for the sun? Or am I, as the saying goes, out to lunch? It is a point that I have often wondered about, too, Mr Hogue, even when I was engaged in meteorological observations. Surely, it would make sense for the Stevenson’s screen, itself, to be screened from direct sunlight? If ever you wanted evidence that there is systemic abuse of scientific process in this whole farrago, this is it. Whenever in history has science ever tried to prove its point by destroying its data? Destroy the actual temperature readings ? Non-verifiable summaries are toilet paper . Did no one take Science 101 ? Stop press: Perhaps it was the Unions that destroyed/changed the data? The Bureau of Meteorology will continue to deliver timely forecasts and warnings during the period of protected industrial action that the Community and Public Sector Union has advised its members will apply from Thursday 20 July 2017 to Wednesday 23 August 2017. And as the unionised workers are still presumably getting paid but not cooperating with management, any hope of getting to the bottom of the temperature adjustments is now doomed. Does that beat “the dog ate my homework”? ‘Fresh doubts over Bureau of Meteorology temperature records had arisen because a post office worker read the thermometer at the wrong end when the mercury plunged below freezing.